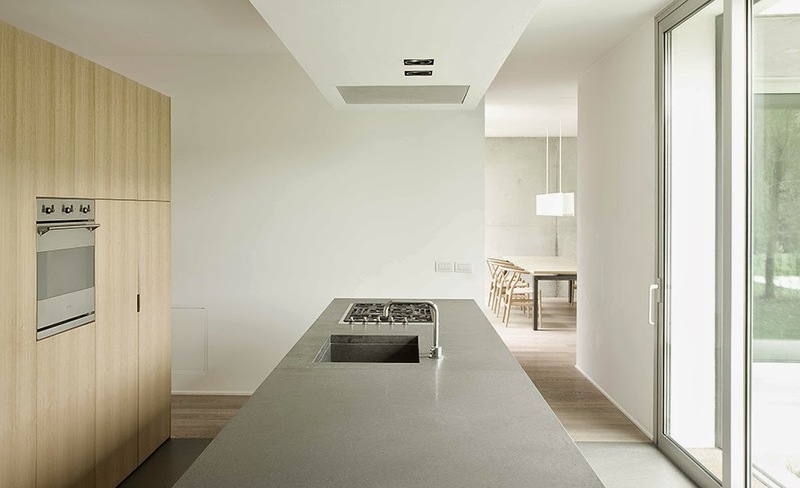 Architects Bianco + Gotti Architetti designed minimalist house R+O House in Palazzago Bergamo, Italy. 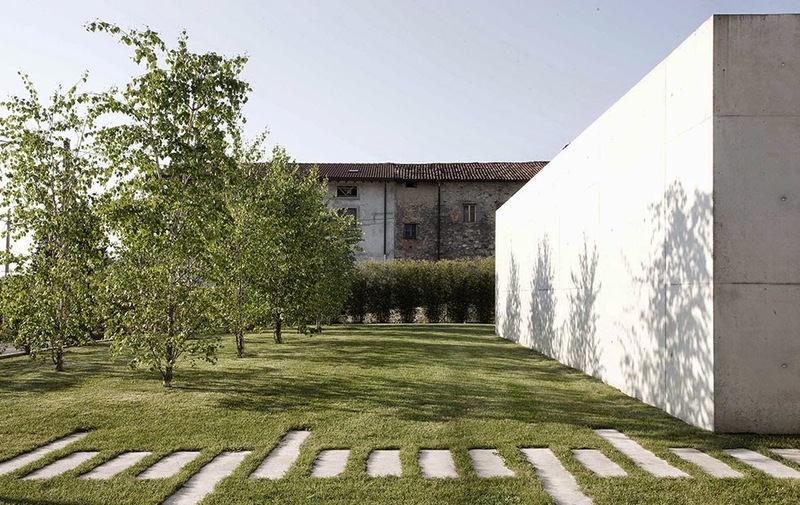 Two orthogonal volumes, one white plastered, one concrete, together with a long raw concrete wall form a protected courtyard that extends to the surrounding garden and landscape. 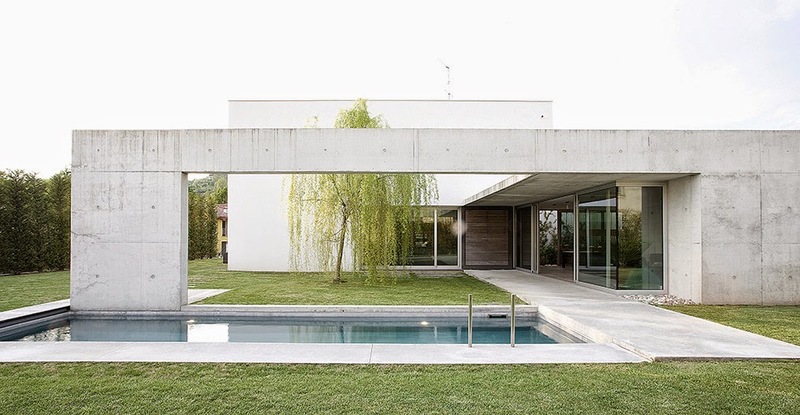 The orthogonal layout of the two elementary volumes accounts for the rationale behind this residential design for a single family house. 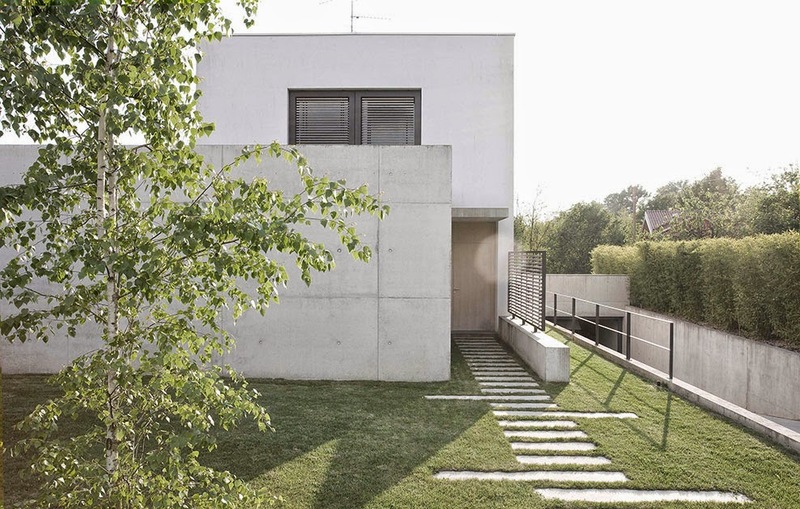 The building is located at the center of a rectangular allotment, enclosed by a long and silent raw concrete wall. 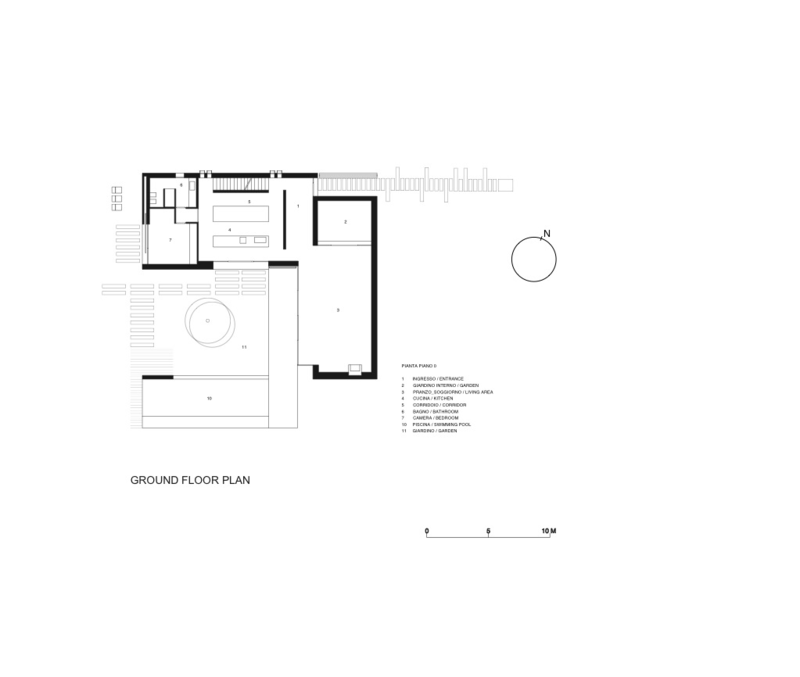 The area comprised between these two elements represents a variation on the concept of the courtyard as internal space and is protected from the street by the abstract-looking boundary. 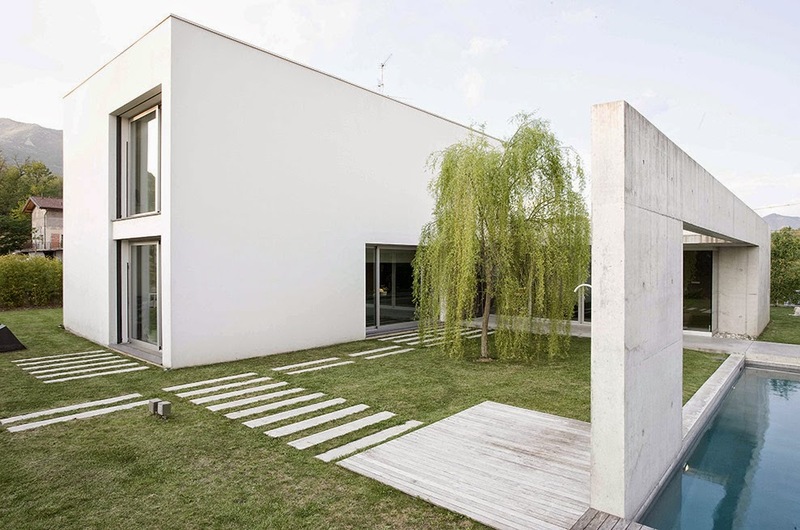 The wall is folded towards the house to provide a third side to the courtyard. 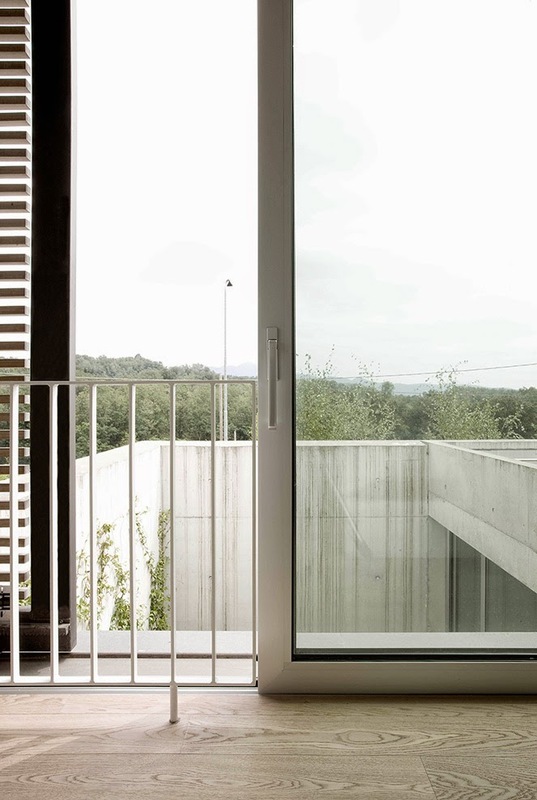 The fourth side is left open and offers an unhindered view of the surrounding landscape. 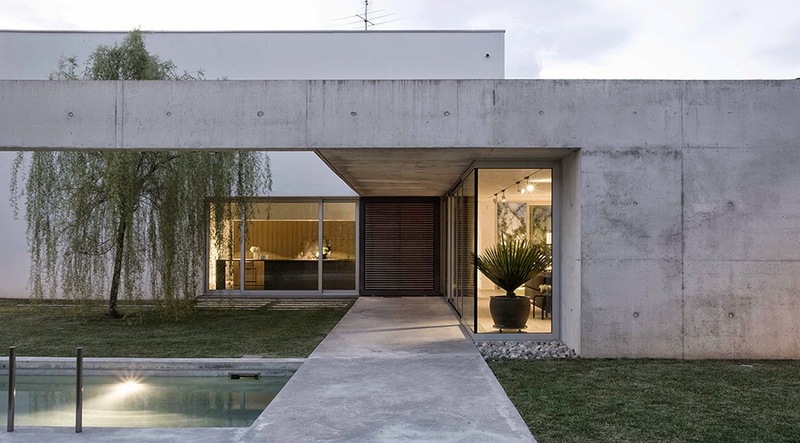 The introversion of the structure contrasts with the total transparency of the walls that separate the inner spaces and the courtyard. 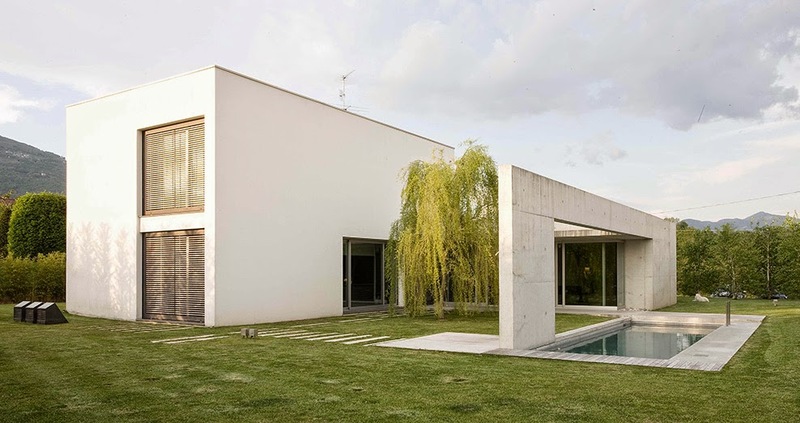 The pure white-plastered volume leans on the raw concrete one and its two stories are characterized by symmetrical floor-to-ceiling openings on the front and the back. 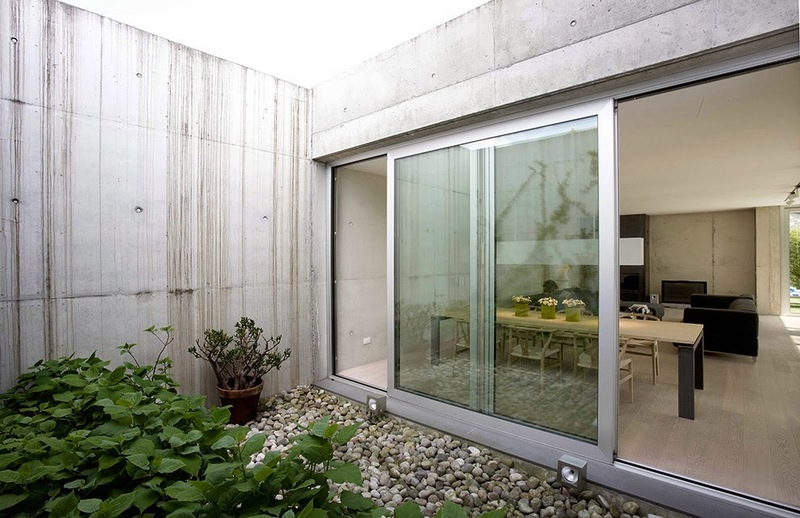 Along the northern side of the building there are only a few necessary and minimal windows. 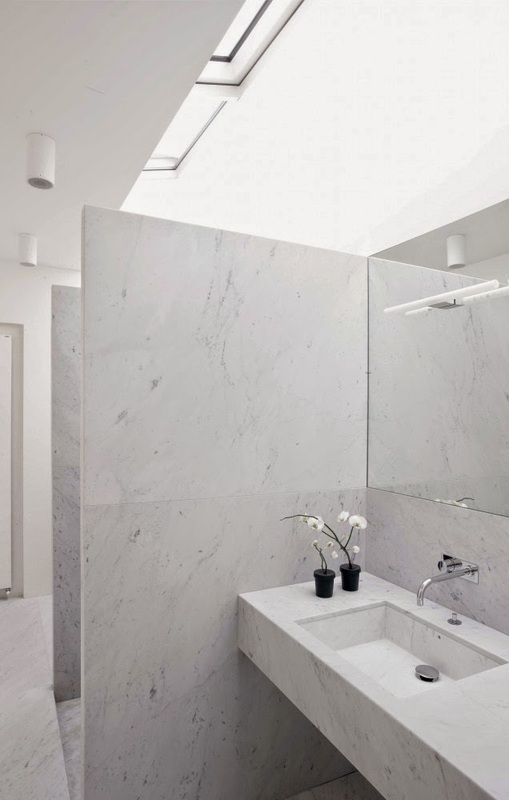 From the inside, the large glass panes present themselves as large open windows on the landscape. 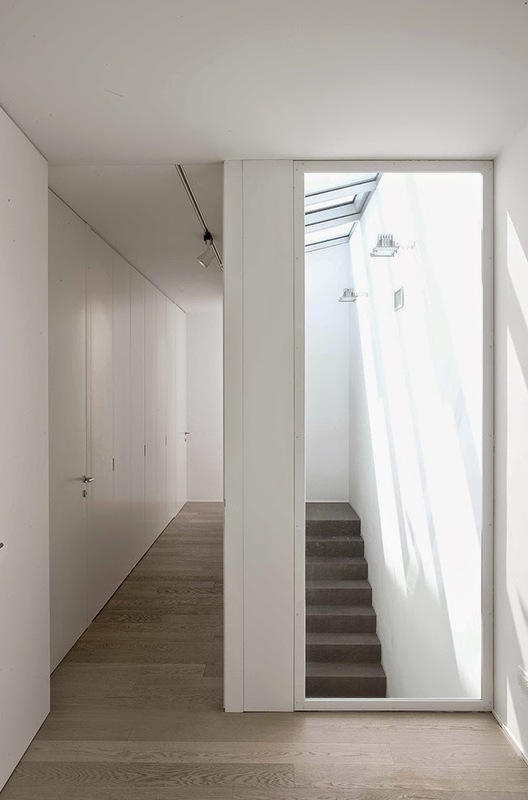 Fluidity is the underlying rationale behind the arrangement of the rooms on the ground floor. 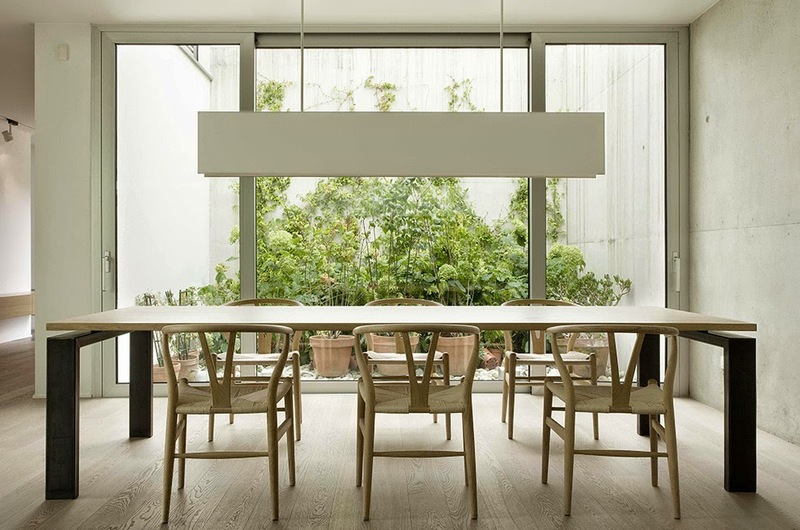 The effect is reached through the monochromatic flooring and the physical presence of the furniture. The dining area overlooks the secret garden, which always emerges as a surprise from behind the solid wall that hides it from the outside. 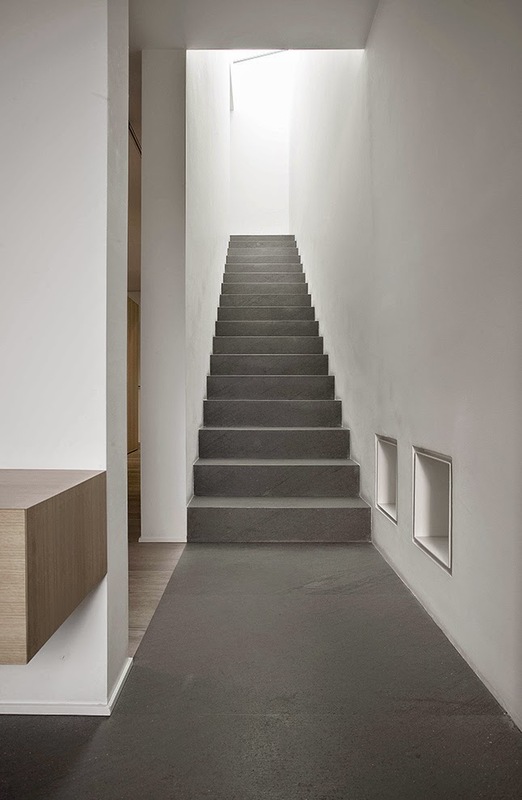 The single flight of the stairway receives zenithal light from a skylight that equals its length. It represents an ideal upward continuation of the ground floor. 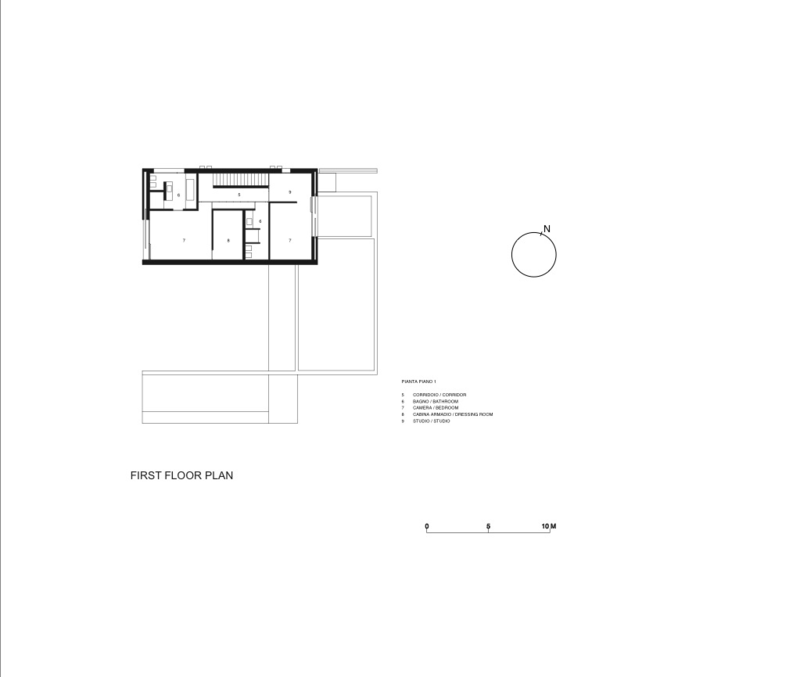 The sleeping area is on the first floor, while a spacious basement is dedicated to a garage and other utility rooms.